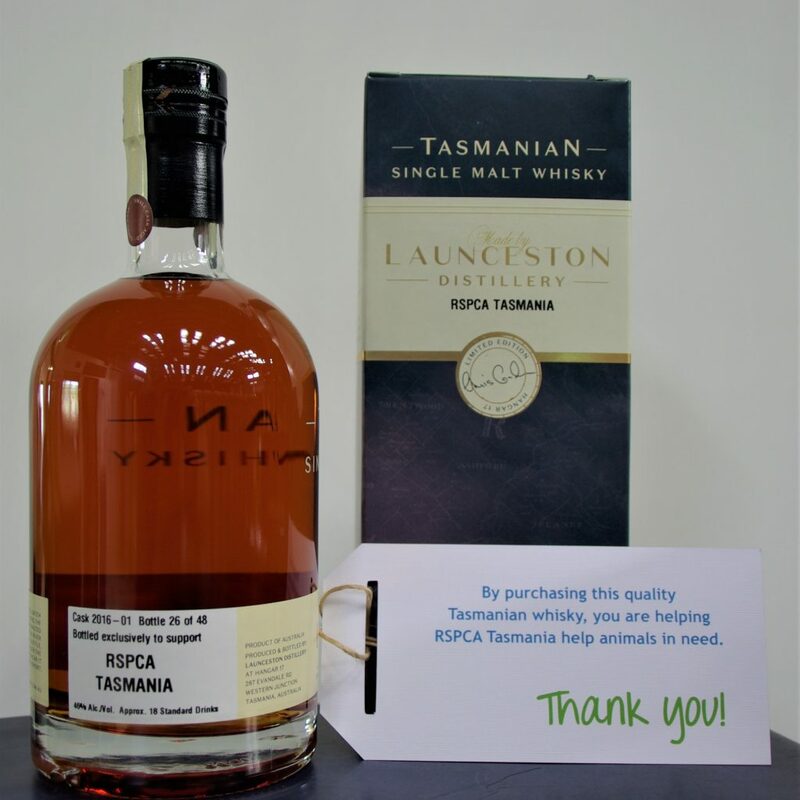 Tasmanian single malt, Cask 2016-01, bottled to support RSPCA Tasmania. The small 20 L Tawny was laid down in 2016 and then matured for two and a half years before being bottled at 46% alcohol. 500 mL Bottles, 46% Alcohol by Volume, only 48 bottles were produced. All the proceeds from the sale of this limited edition whisky will support the work of RSPCA Tasmanian to help animals in need. Complex sweet-tawny flavours of dried fruit, Christmas pudding and spice. Appealing fragrant aromas of tawny port, fruit and oak.